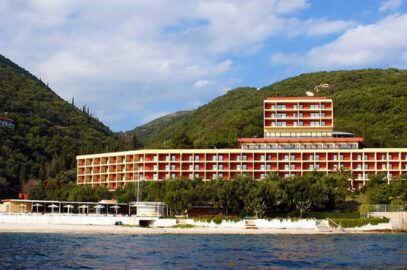 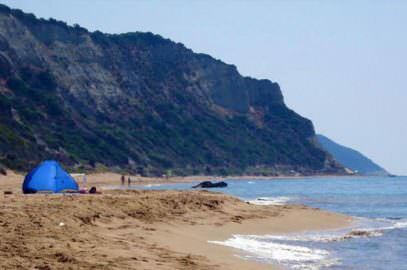 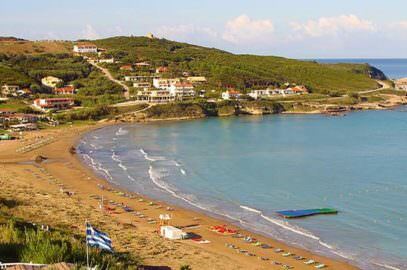 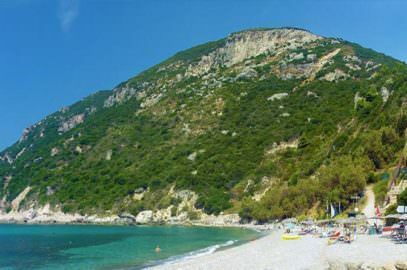 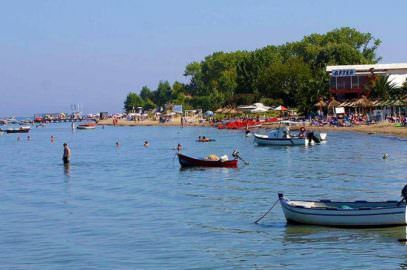 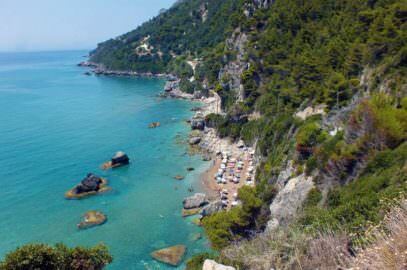 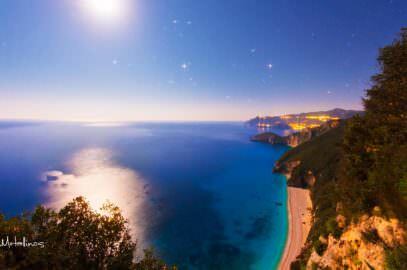 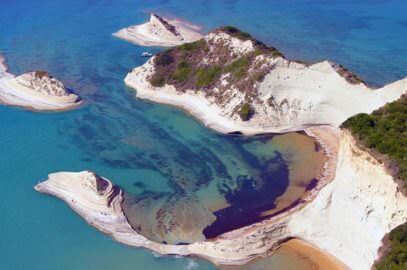 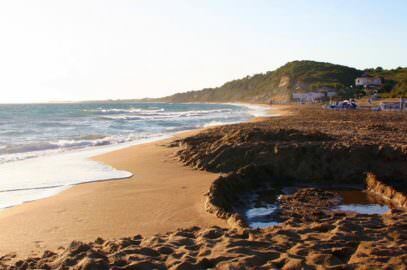 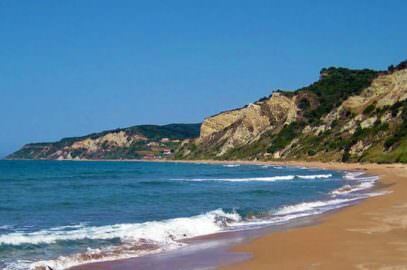 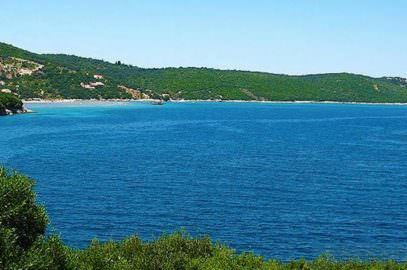 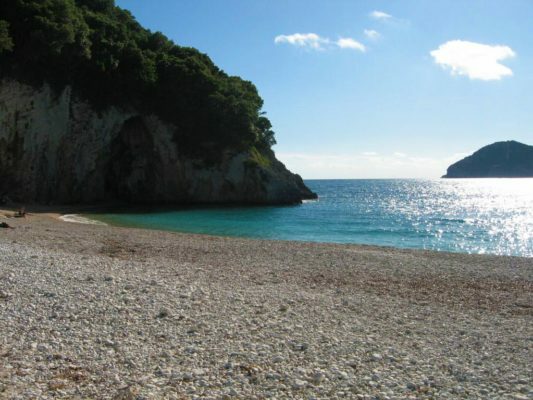 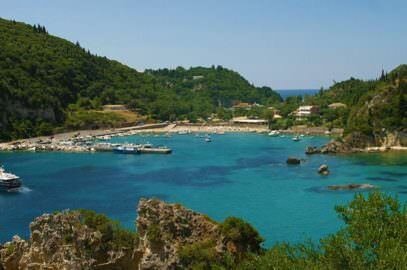 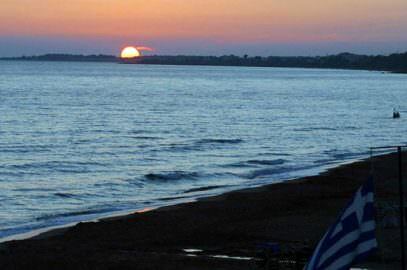 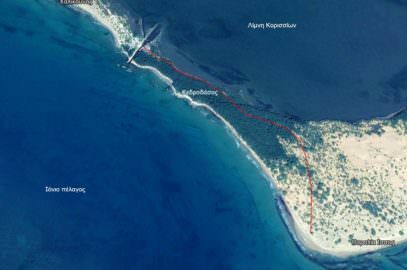 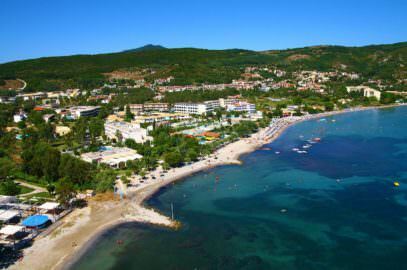 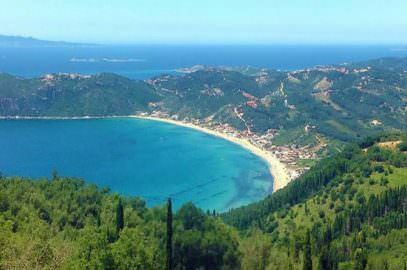 Rovinia is located in the area of Liapades in western Corfu just south of the rocky shores of Paleokastritsa. 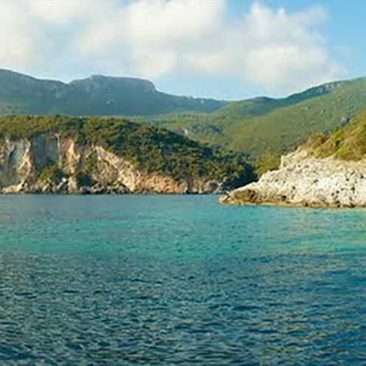 Small, remote, beautiful and unspoiled. 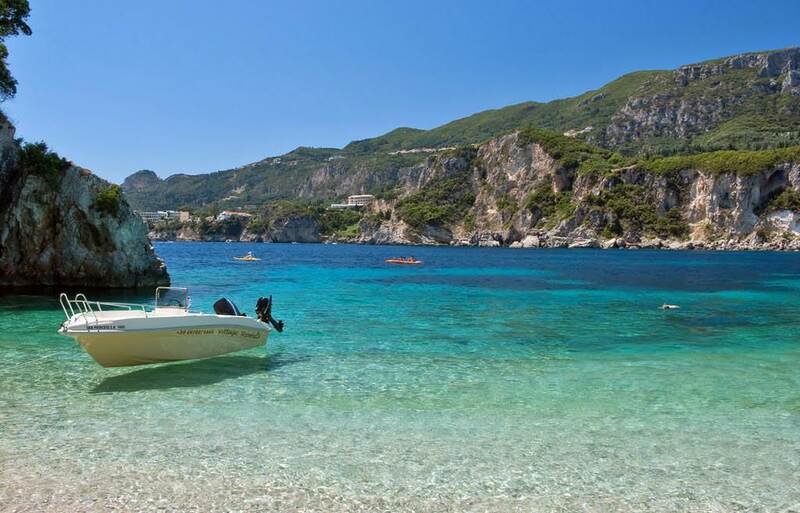 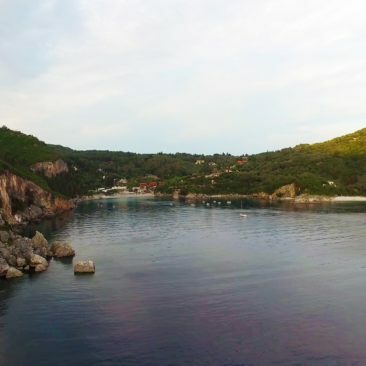 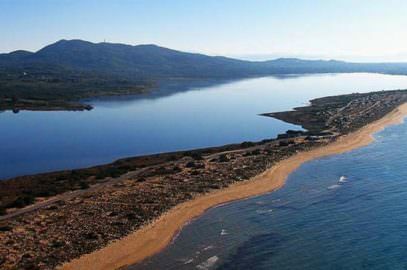 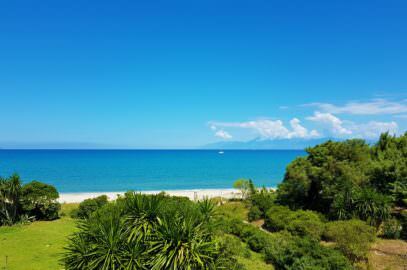 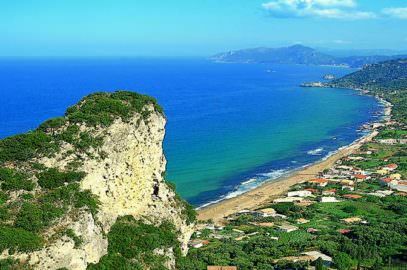 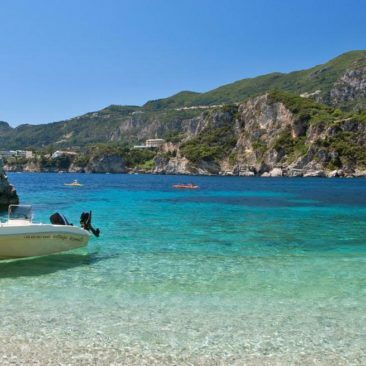 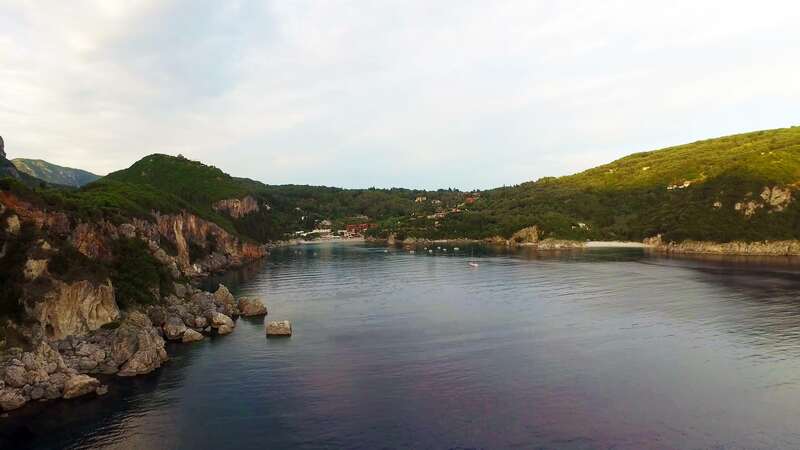 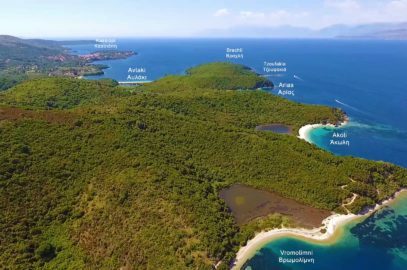 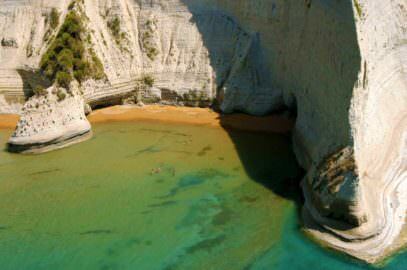 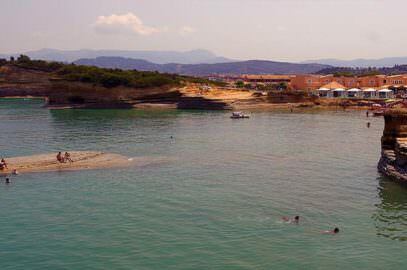 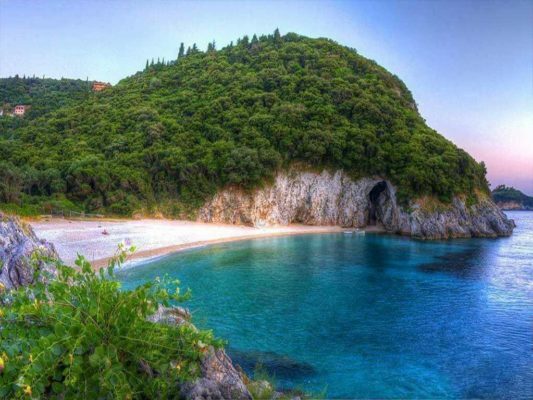 It belongs to the group of hidden beautiful beaches of western Corfu, where the western coastal mountain range literally collapses steeply into the sea creating a natural dam of the coast from the interior of the island. 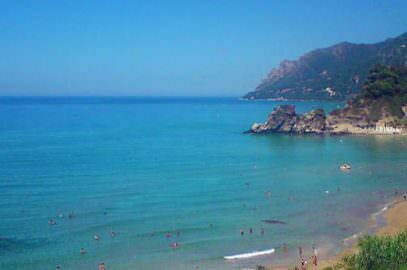 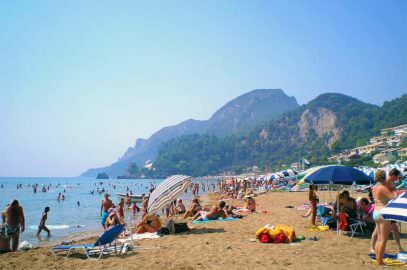 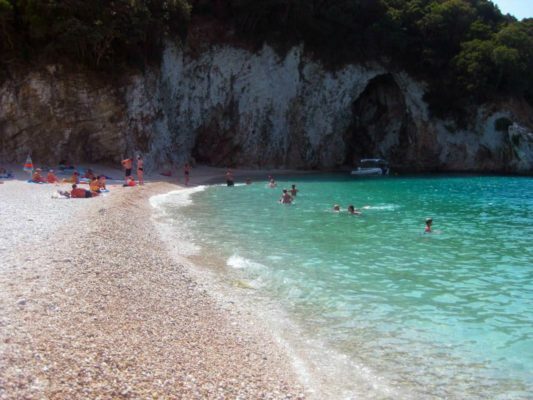 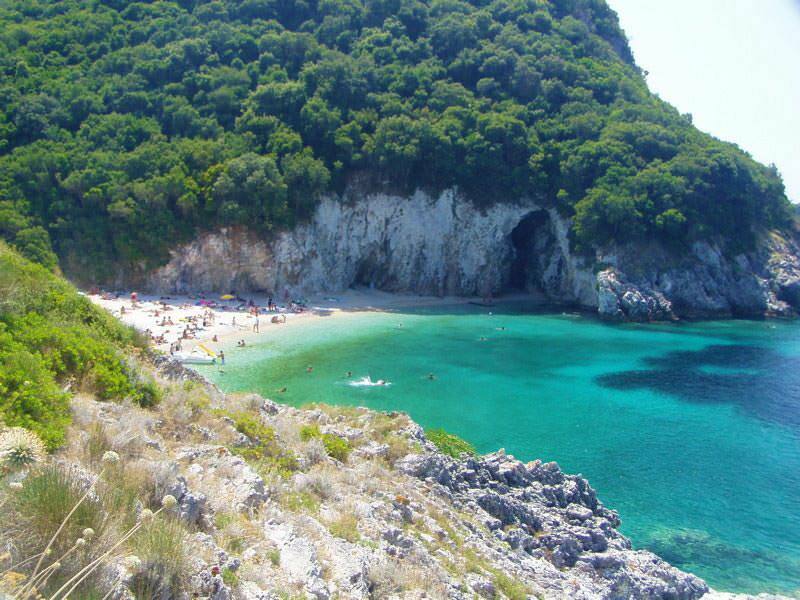 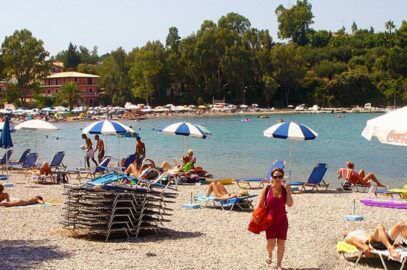 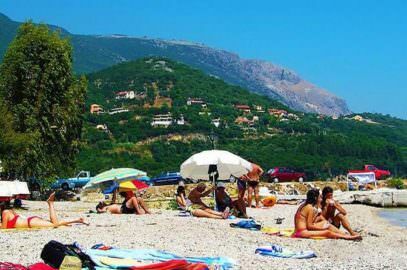 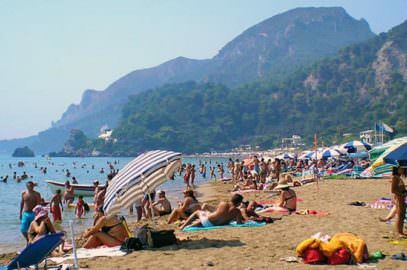 Rovinia considered by foreigners to be the most beautiful beach in Corfu. 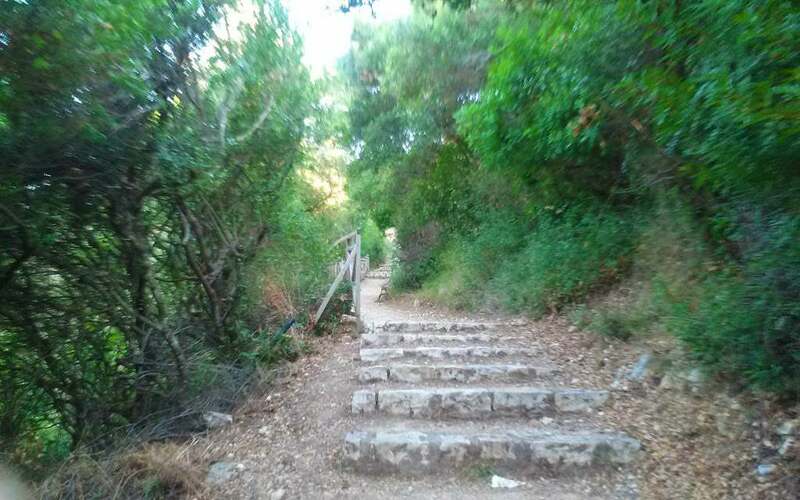 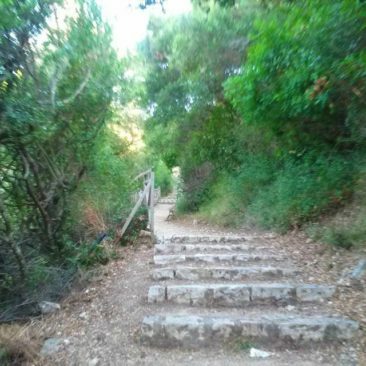 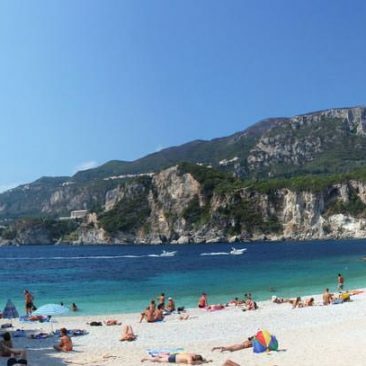 It is accessible from the sea as well as from the land through a small path with steps, about 600 meters long, unlike the other isolated beaches of the area which are accessible only by the sea. 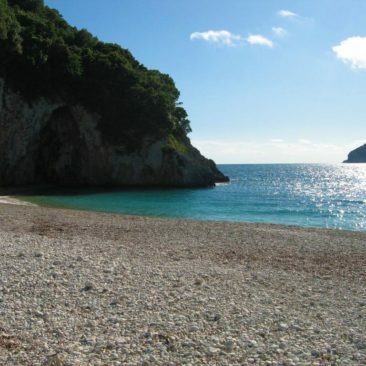 It is deserted, therefore not very crowded, with fine pebbles, little sand and a turquoise crystal clear sea in a landscape of exceptional natural beauty, it could be a nudist beach. 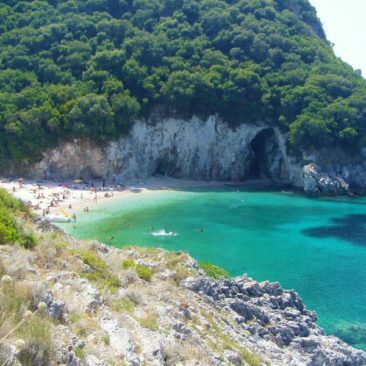 It is a small petal shaped beach, almost surrounded by tall rocks on both sides, rocks that at its southern end creating a small but spectacular cave. 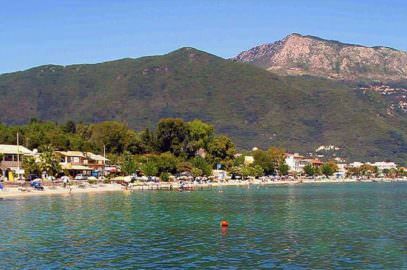 Waters in Rovinia are crystal clear, fairly cold, almost frozen, as well as in the whole area of Paleokastritsa, due to the cold streams from the Adriatic that end up on these coasts. 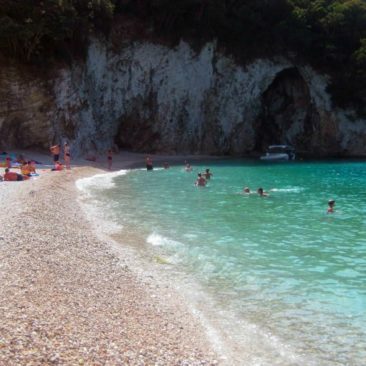 They deepen abruptly so the beach is also suitable for those who want to use the surrounding rocks for diving. 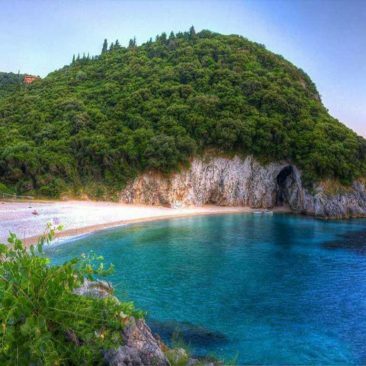 We have not visited it yet, but seeing it from the pictures we have the impression that we been there already, or to be more presice we have found our selfs on a very similar beach many years ago, but we certainly do not remember where. 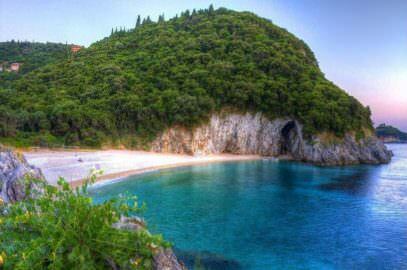 In fact, Greece has so many beautiful places that resemble each other. 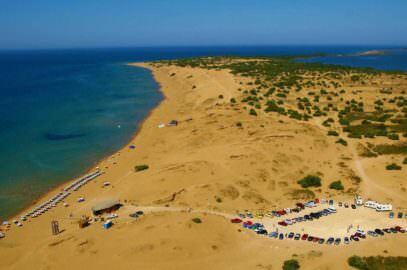 We hope to be able to visit Rovinia in the near future, in the meantime we try to convince you to visit it, it is worth the effort as those who were been there say, as well as the very positive comments by foreign tourists.